Are you a wedding planner who wants to show up on Google? Search Engine Optimization is what it takes. Let’s talk wedding planner SEO to help your business website rank higher and bring in more traffic. This one seems obvious, but I am always surprised in auditing client sites how many planners miss this one. If you want to be found for a phrase like “Knoxville wedding planner,” you have to use that phrase on your home page. In working to stand out and be unique, you might be tempted to write something flowery like “We coordinate heartfelt celebrations.” But—if SEO matters to you, you need to be a little more literal for Google. Make sure you write that you are a “Knoxville wedding planner” in the text on your home page. Bonus points for also including that phrase in your home page meta title and meta description. When you want to rank in a certain city or local area, it’s important that Google understands where you’re located and where you work. To get on their “map,” I highly recommend you set up a Google My Business listing. It’s free and will take maybe 30 minutes to do well. Here are basic Google My Business setup instructions. Set your primary category as “Wedding Planner” if you want to be found for wedding planner searches (use “Event Planner” as your primary category only if it’s more important for your business to show up for event planner searches). Make sure to upload photos of your best work. Upload at least 10 photos when you set up your listing. If you can, return every couple months to add a few more, so it stays fresh. Don’t miss the “Description” field. Here, you can write a nice description of your business to attract attention in the search results. Include the main cities you serve. 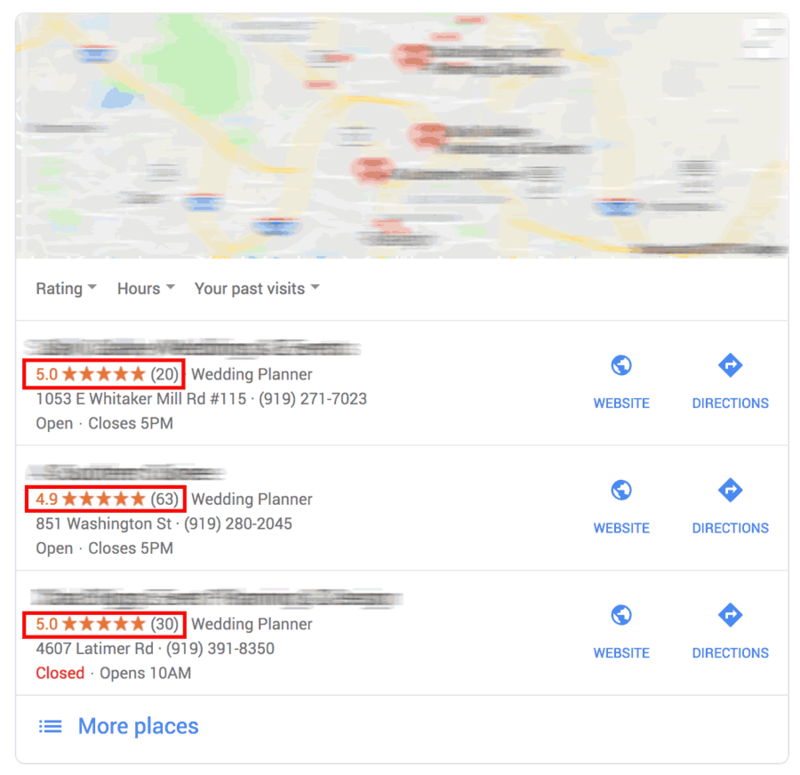 Reviews on Google will really help your listing to rise in the Google map results. Make sure to ask past clients and any other business contacts to review you. I highly recommend creating a Google review link that you can send with your request, so it’s easier for your reviewer. Google wants to send visitors to websites that are easy to use and quick to load, on computers and on mobile phones. 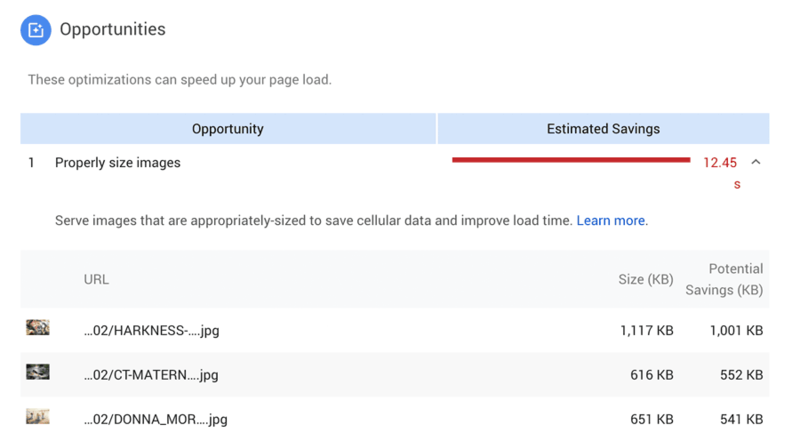 If your website loads slowly, it may not rank as well as it could. Yes, some of the results will sound like Greek to you (some of it does to me too). But specifically look for anything you understand, like “Properly size images.” If you see this warning, you can click it to find images you’re using that may need to be resized. Try to add fresh content to your website at least once a month. 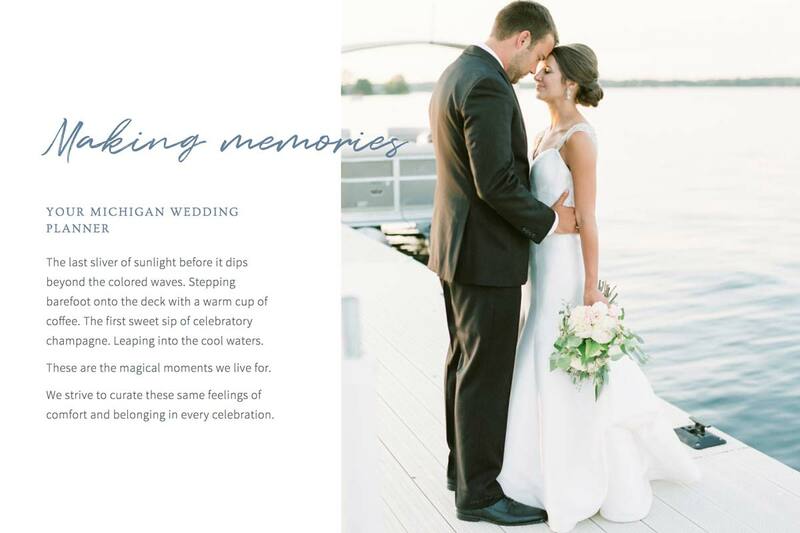 This content might be wedding blog post recaps or helpful articles with your wedding planning advice. Websites with more high-quality content tend to rank better than websites that are small and rarely updated.